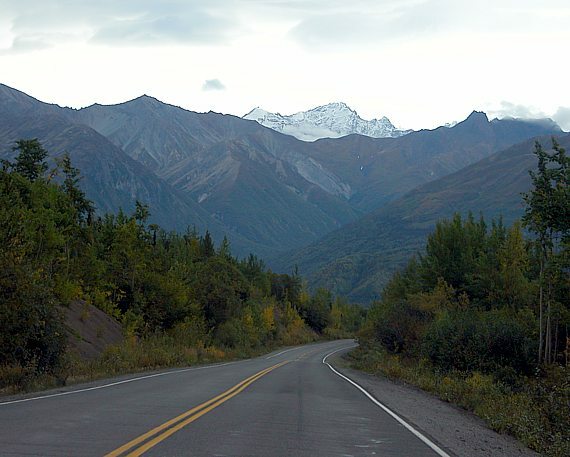 This scene is from further along the Glenn Highway in Alaska, approaching evening on another pre-autumn day, twelve years later than the photo on the previous page in this series. There are serious mountains in the area. Tok is the destination for this day's travel.